Predictio offer a number of different trainings. You can see all our different kinds of trainings in the menu Trainings. 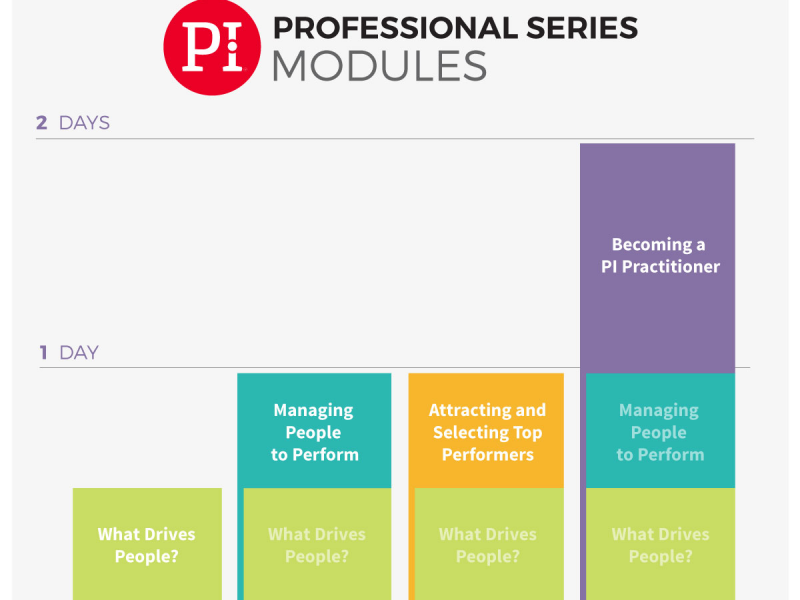 Below is an overview of all planned open Becoming a PI® Practitioner trainings in Sweden in 2019. If you would like to sign up for a PI Practitioner training outside of Sweden please click on the button below “Register for Global PI Practitioner training”. Description : After you have participated in this workshop you become a PI Practitioner. Two intense but also highly rewarding days. What I have learned in this training is something that I can directly apply in my work and when working with development of our employees, leaders and processes. Great value-adding tool, fantastisk training facilitator, great material and user-friendly system. Very interesting and exciting workshop that taught me a lot about myself, my co-workers and gave me a super tool I can use in the recruiting process. Fantastic training that is so relevant to our business needs and challenges. The best tool I've worked with in understanding our people and ourselves. Understanding PI will bring me one more asset in finding the right person for the right role. Fantastic training, full of "lightbulb moments" that will really be useful in all aspects of daily business. Absolutely would recommend every leader to attend. Very good and exciting course with a tremendously engaged and knowledgable trainer. I will use PI a lot in my work. Very inspiring! I want to hurry "home" and start implementing. To gain a deeper, more nuanced and constructive image of people and groups - use PI! In my constant strive to become a better leader for my employees, my insight and knowledge of PI will take both me and them to new levels.